A Cricut makes creating classroom valentines easy! 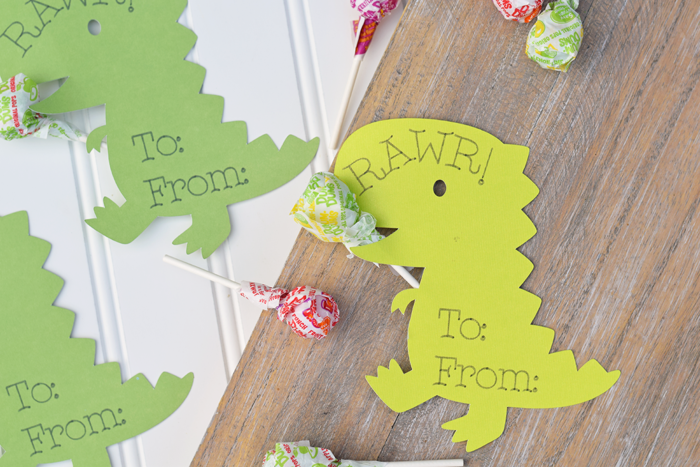 These Dinosaur Classroom Valentines are quick to put together. This post contains affiliate links. One of my triplets adores dinosaurs. He has two dinosaur shirts that he wears on repeat. 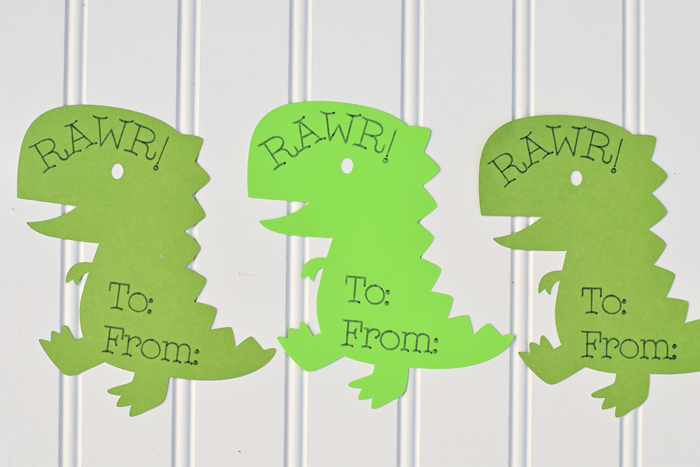 When I saw this dinosaur image in Cricut Design Space, I knew immediately that I wanted to incorporate the image into his classroom valentines. 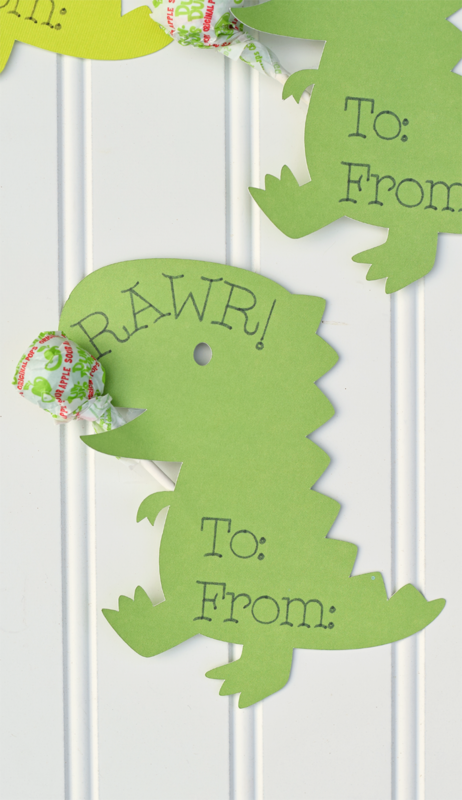 You can check out the other boys’ SUPER CUTE and easy Valentines here and here. Optional: If adding a lollipop, grab lollipops and tape or some sort of adhesive. Here is my cut file for these if you would like to use them. 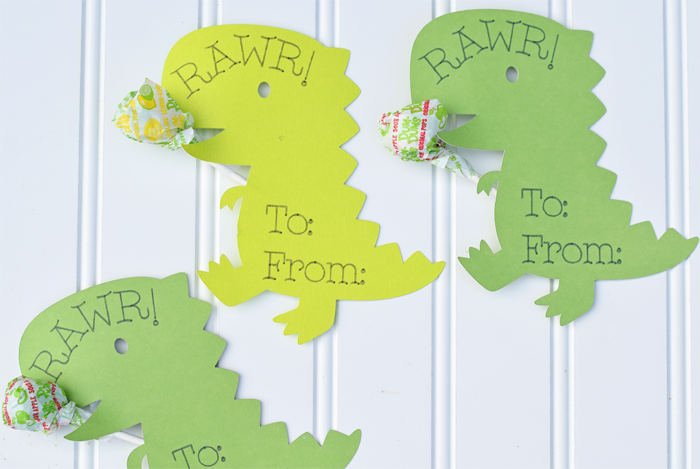 However, if you do not have Cricut Access, then you may have to purchase the Dinosaur image. See more dinosaur images HERE. Cut out as many as you need for your child’s classroom. 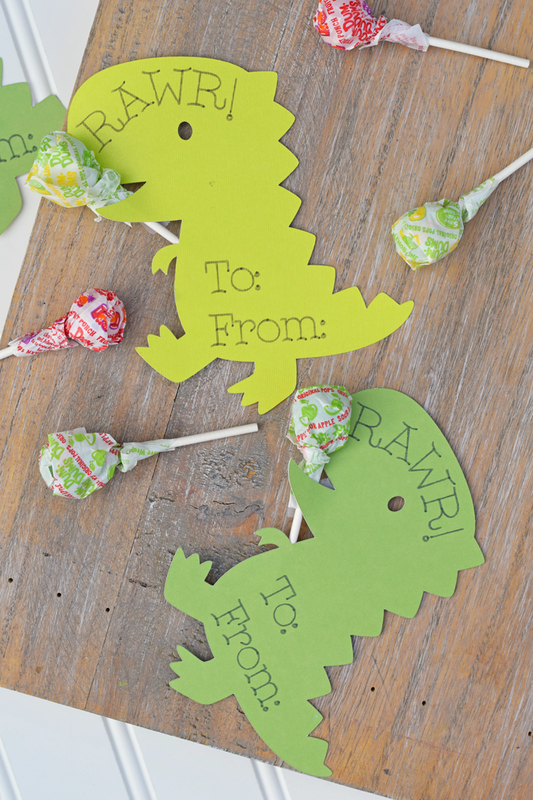 I added lollipops by securing them with a piece of tape on the back of the dinosaur. Aren’t these the cutest little dinosaurs? I already had the supplies on hand at home, so I didn’t have to purchase anything additional to make these. Are you looking for more Cricut related tutorials, tips, and information? 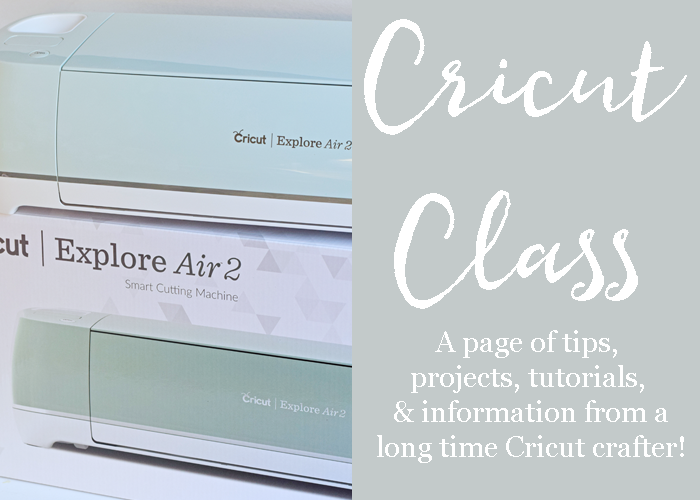 Check out the Cricut Class page with lots of project ideas! I just wanted to let you know that this saved my life today! We had bought Valentine’s for my son’s class a couple of weeks ago, and they disappeared in that time. Luckily I had almost all of the materials to make these and you made it so easy! Thank you so much! That is wonderful to hear! Happy Valentine’s Day! I can’t find your cut file on the cricut app, can you direct me? This is amazing! I love it! I keep creating it in cricut design space and it won’t let me save it. Any ideas? Are you creating your own or trying to save this specific project file?